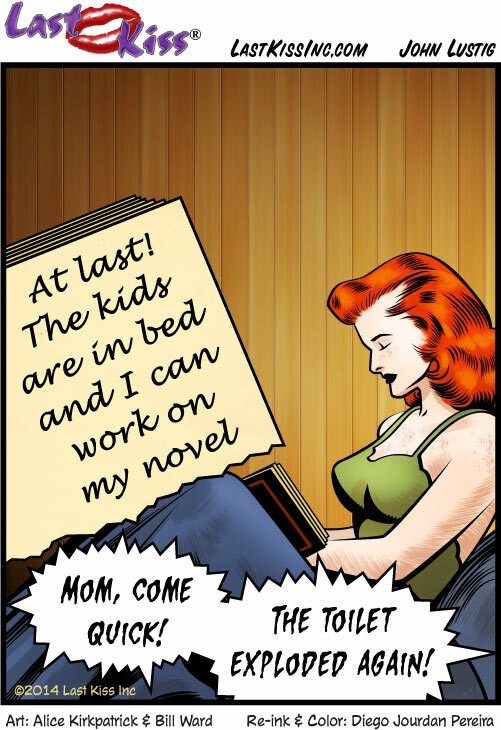 WOMAN WITH BOOK: Remember, sweetie, you Mustn’t ever read Mommy’s diary…even after it becomes a best seller! Okay, I admit it. I’m in love with books. In fact, I’ve been having affairs with many of them for years now. How about you? 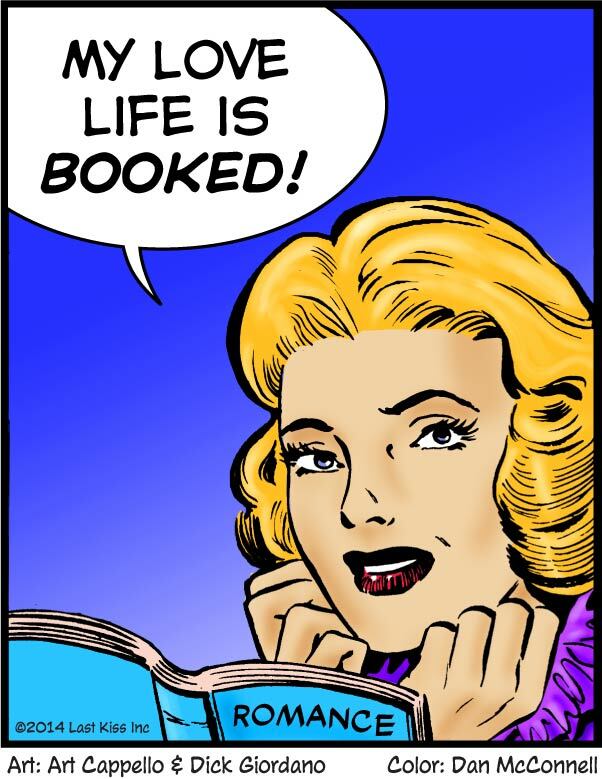 Woman: My love life is booked! 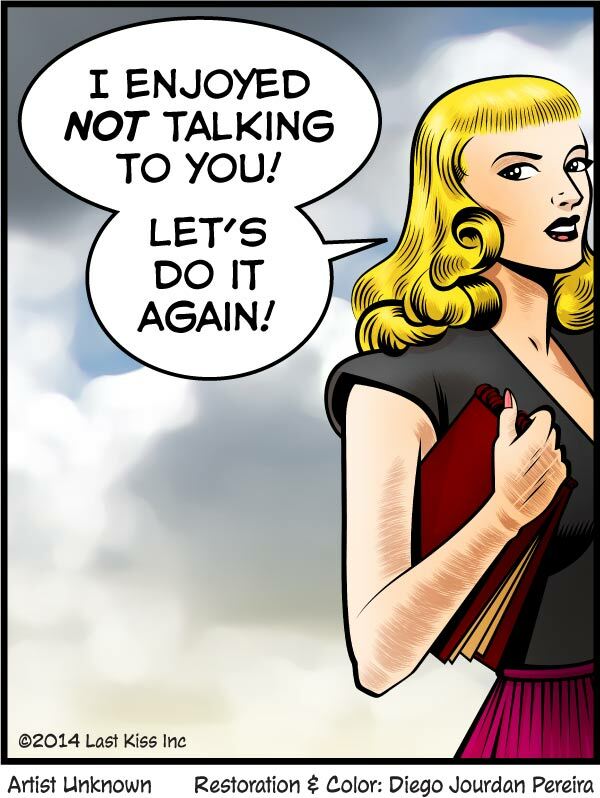 See the original 1949 art and dialogue for today’s Last Kiss webcomic here. SCENE: Old, bald man sitting in a chair talking to a much younger woman. They're both holding teacups. SCENE: Blonde woman with a notebook. WOMAN: I enjoyed not talking to you! Let’s do it again! SCENE: Woman writing in a book in bed. From off-panel comes the sound of someone yelling. SCREAM (from offpanel): Mom, come quick! The toilet exploded again!